Steve is a perfectionist so his training involves precise instruction which very much appeals to me, as it ultimately makes you a better rider. I thoroughly enjoyed my training days and always come away feeling a better and safer rider. Today, we still feel these simple principles set us apart from the competition. Over the years we’ve seen many competitors come and go whilst we’ve gone from strength to strength. 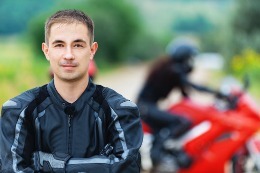 Based in Gillingham Kent we are the closest motorcycle training school to the Gillingham Kent test centre. 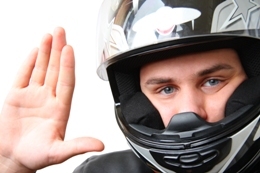 (Kent is now only served by three motorcycle test centres Gillingham, Erith and Herne Bay. If you live in the Gillingham, Chatham, Maidstone, Sittingbourne, Rochester or the Isle of Sheppey areas then Gillingham’s the one for you.) 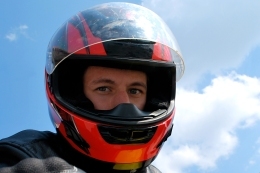 Our ideal geographic location means that for students doing their full motorcycle test with us there’s ample opportunity to familiarise themselves with the area in which they will take their on-road practical motorcycle test. Because of our low overheads we operate an extremely competitive pricing policy that others just cannot match. This translates to you into great pricing without compromising our courses in any way, shape or form. 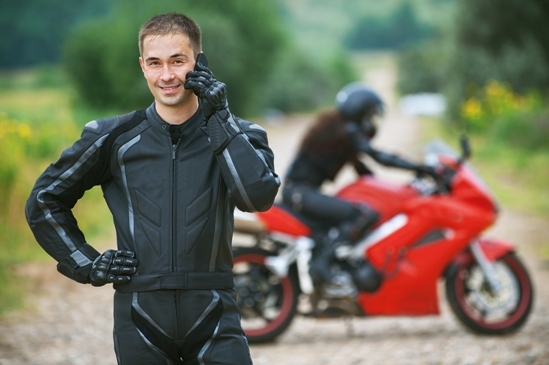 Our continued success means we are able to afford and maintain a modern fleet of motorcycles, so you get to train and learn on up to date equipment too. Put all together we truly believe that A-Z Rider Training offers the BEST VALUE, QUALITY MOTORCYCLE TRAINING IN KENT. It’s not just us saying it that’s why! – A phenomenal 80% of our work comes from personal recommendation. We are the closest training school to the Gillingham test centre (serving Medway, Maidstone, Sittingbourne, Swale and all outlaying areas.) No wasted time travelling in with us! Established since 1990. Our longevity speaks for itself. We are ALL FULLY CERTIFIED Driving Standards Agency instructors certified to offer both CBT training and Full licence direct access training. We continuosly monitor the local market ensuring our courses offer the best value out there. PERHAPS MOST IMPORTANTLY it’s because we always endeavour to offer the best standard of instruction but within a stress free, fun filled environment. The voice at the end of the phone! 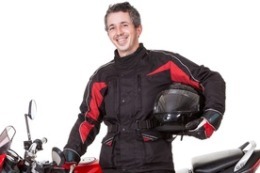 Steve has a massive wealth of experience around motorcycles and has been a fully certified DSA instructor since 1990 making him one of the most experienced instructors in the country. A successful motorcycle club racer in the late 80’s Steve took wins at Brands Hatch, Lyden Hill, Mallory Park and Snetterton race circuits. He then went on to race off-road motorcycles competing successfully in the British Enduro, South Eastern and East Anglian Enduro Championships. Away from biking, Steve is also a Senior Instructor for the British Kitesurfing Association and a Mountain Leader for The Ski Club of Great Britain. Motorcycling is Paul’s main passion so when he’s not on the road teaching you can bet he’s out on the road touring. Paul has been a fully qualified DSA instructor for over 10 years and has to be just about the friendliest instructor around. He has worked extensively in the Kent area and has an unparalleled knowledge of the local test routes. Perhaps Paul’s only other passion is he likes cake too much for his own good. Thankfully he rides a big bike! You guessed it, Nick loves bikes and cars as well. In fact, so much so, he built a race car from scratch in his garage! At weekends, Nick enjoys nothing more than doing track days with his son at Kent’s very own Brands Hatch. A fully qualified DSA instructor for over 10 years, Nick has helped hundreds of people to gain their full motorcycle licence. By the way, Nick’s enthusiasm is legendary. A fully qualified DSA instructor, Graham’s teaching credentials are impeccable, having prior to joining us in 2003, taught in central London for five years. Graham does a wicked Sean Connery impersonation, and at the weekend can be found whizzing around on his 1200 Suzuki Bandit. Sadly Mark is no longer with us having been poached by the Driving Standards Agency! Seriously though Mark, good luck from the team.